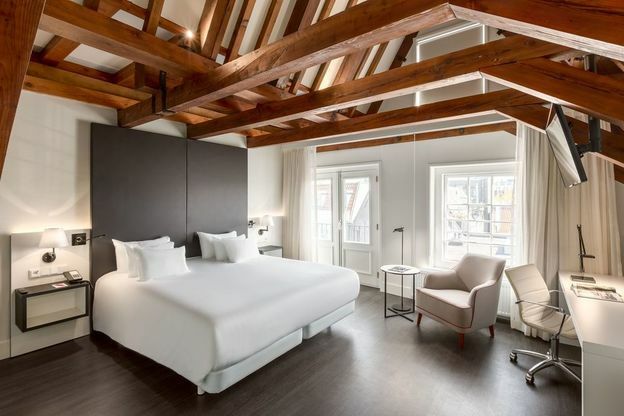 Almost a tulip throw from Amsterdam’s Central Station, the NH Collection Barbizon Palace is a collection of 17th century town houses discreetly converted into a 5 star hotel. Quite often when on holiday, I stay in a hotel and from there go and visit the local art galleries. 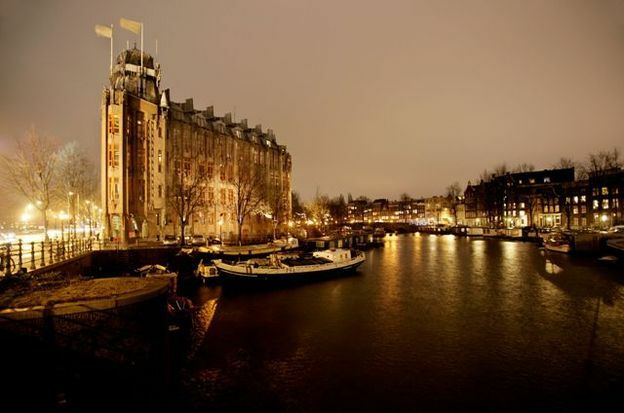 This conventional way of doing things was rather turned on its head during a recent stay in Amsterdam, as Grand Hotel Amrath is a piece of art in itself – a historic and architectural gem both inside and outside. 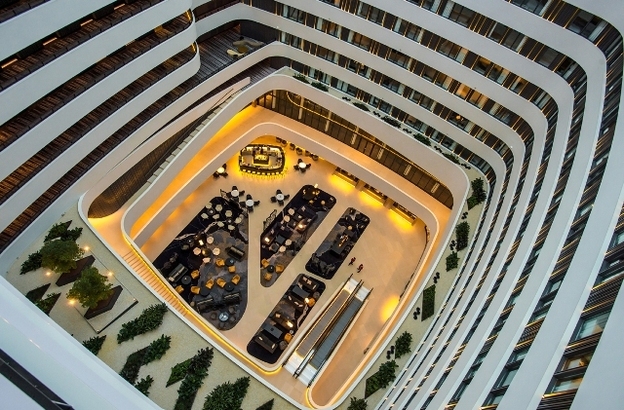 Airport hotels were once the preserve of business visitors looking for the nearest berth to their meetings and plane home, but Hilton is looking to change all that with its dramatic new Schiphol hotel. You can walk straight through Arrivals to the Hilton Amsterdam Airport Schiphol which replaces Amsterdam’s old airport Hilton, but you might miss the stunning architecture which can only be fully appreciated from outside. So as soon as you check in, step out the door to admire the sleek lines awash in diamond-shaped windows – this super-streamlined building looks ready to take flight itself.